The chills of Fashion Week don't just take place under the tents! Street Style Blogs are the main service for fashion industry professionals worldwide. This time the snapshots I chose are documented around the tents during the Fall 2010 Fashion Week in the biggest cities around the globe. The main key this Fall is keeping it sophisticated chic. We've revisited the '80s a few times already during Fall 2010 Fashion Week. Expect to witness a combination of the low and high fashion brands commonly associated with the creative fashion scene. Not just an entire copied version off the runway. Enjoy my complete Fashion Week coverage. 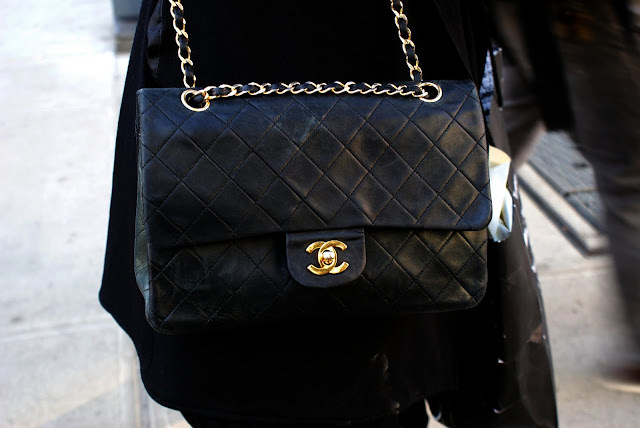 I think I need one of those Chanel bags.